One of the attractive features of using IP devices for physical security systems is the ability to provide the power to a remote device over the same Cat5e/Cat6 UTP, coax, or twisted copper pair cabling that is used for the Ethernet signaling. By using devices that are compliant with the Power over Ethernet (PoE) standards, IP cameras, intercoms, card readers, and other IP devices can be powered and connected to the network using a single copper cable. Using PoE can greatly reduce installation costs, as there will be no need for remote power supplies to be mounted near the devices, and less cable is required. Normally the PoE power is provided by power sourcing equipment which is usually a network switch or a PoE mid-span injector. In either case the power is provided from a centralized location, making the use of backup UPS (Uninterrupted Power Supply) devices an option to provide power to the devices in the case of a primary power failure. This centralized power also makes troubleshooting power problems easier and quicker as there aren’t multiple traditional power supplies spread around the client’s building. 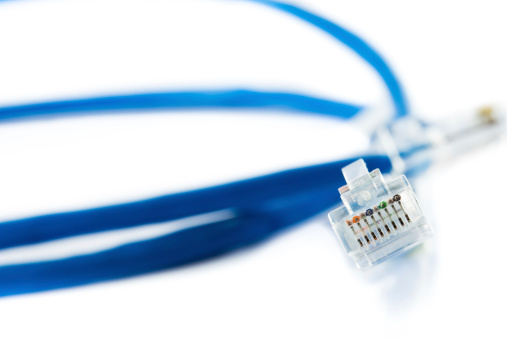 When using devices that met the previous IEEE PoE standards, the power is delivered to the remote device using two of the four pairs of a Cat5e/Cat6 UTP cable. The current IEEE 802.3-2012 standard provides the ability for PoE power sourcing equipment, typically network switches, to deliver PoE power over all four pairs of a typical CAT5e/6 UTP cable. This allows the connection of remote IP devices that require more than the 25.5 watts of power called for in the 802.3at standard. There are circumstances where more PoE power than 25.5 watts is needed to power some physical security devices. For example, the Axis Communications Q6035/E (ADI part # Z4-0566004) outdoor 1080p IP camera can require up to 74 watts of PoE power to operate the camera, heater, and p/t/z functions. One way to deliver the needed current over a single cable is to use two of the NVT EC-1701 Ethernet over Coax transceivers (ADI part #NV-EC1701) along with the NVT 90 watt PoE power supply (ADI part #NV-PS5690W). The necessary power can be delivered over a single coax cable, new or previously installed, while using a CAT5e/6 cable which will deliver the power on all four pairs to make the final connection and provide power to the camera. Security dealers who are installing IP devices and cameras should use the many advantages available when powering devices with PoE. Fewer cables, cleaner and quicker installations, and centralized power supplies will reduce the costs for both installation and future servicing of IP security devices. ADI offers a full line of power products. Click here to learn more.